Misc. 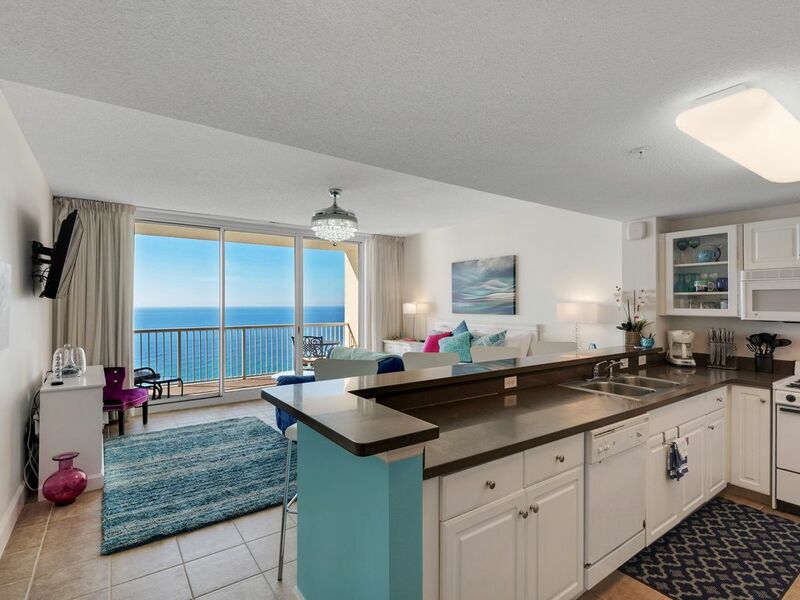 : Panama City Beach condo, vacation rental at Majestic Beach. Penthouse level property, wide balcony with beachfront view that can’t be beat, great amenities – 5 swimming pools, hot tubs, direct beach access, beautiful well-managed condo common areas, great fitness center, movie theater, tennis courts, and location close to my favorite restaurants, bars and shops. Full bath with shower and full, well out-fitted kitchen that seats 4 at the bar. Washer and dryer in the unit, along with everything you need for the beach – beach towels, sand toys, beach chairs. Comfortable balcony furniture, large flat screen TV with DVD player and comfy couch..